Football/ Basketball Cheer Tryouts are Wednesday March 13th @ 3:30 in the Leopard Arena GO LEOPARDS!!!! 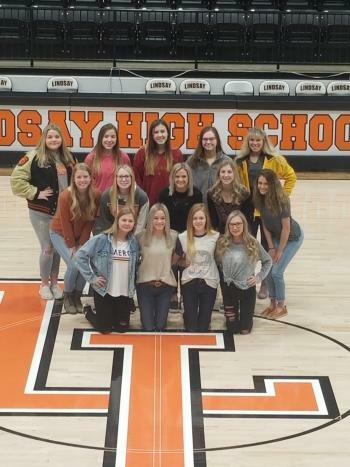 2019 Competition Team 2019 Lindsay Varsity Cheer Team. 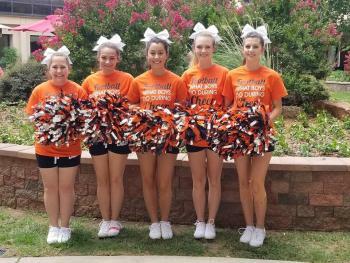 Back Row from left to right: Makayla Huff, Makenna Russell, Kyla Priest, Hope Register, and Charley Rose Simonton. 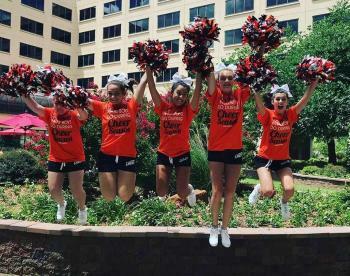 Middle Row: from Left to Right: Brenna Kelly, Audra Aprill, Baylee Bearden, Jacie Albright, and Jody Webb. Front Row from left to right: Brooklyn Bussard, Kamryn Bearden, Brayley Malicoat, and Kelbi Jones. Not pictured is Alexis Kerr. GO BIG L IF YOU LOVE OUR BOYS MAKE SOME NOISE! !